Hand-selected instruments from Cordoba, Kenny Hill and New World Guitars. Every one expertly set up in our shop nestled in the foothills of the Blue Ridge Mountains of North Carolina. Satisfaction guaranteed! We’re constantly growing our inventory — often based on our Customers’ feedback, always selecting the best products from the most reputable manufacturers. Use the Quick Product Finder to locate them easily! We don’t just sell boxes. We offer you prompt, professional, friendly assistance, always making sure you’re 110% satisfied with our products and services. Come and meet us, and let us serve you with an e-smile! Save $$ with our competitive prices. Find lots of ways to earn credits with our A$N Buck$ Rewards Program! Sign up for ASN News to learn about new products and special offers, and save even more! 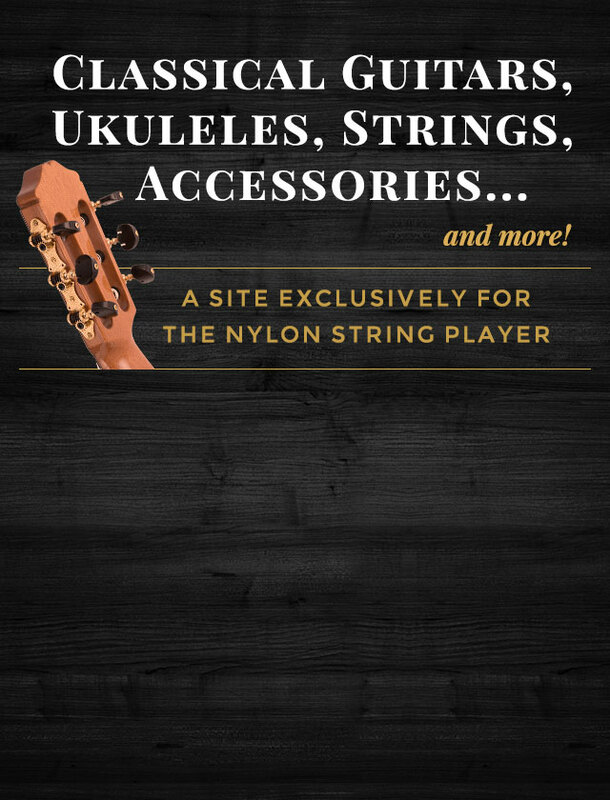 All Strings Nylon is a resource center and retail destination for top-quality nylon string guitars, ukuleles, and a variety of other stringed instruments. We hand-select and carefully screen each of our nylon string instruments to ensure that our customers receive an investment that is defect-free. Unlike big box stores, we’re less concerned about “moving” our products and focus instead on providing superior-quality nylon string guitars and customer service. Whether you have questions about your nylon string instrument, need help with maintenance or repairs, or would simply like to learn how to play better, All Strings Nylon has the goods and services you’ve been searching for. Contact us for more information, or visit us in person at our Morganton, NC, location today.